Here's a song that should be of interest to those in my audience who can remember sitting in front of the TV on a Saturday morning in their pajams with a bowl of sugary cereal in their laps. The song was written by my friend Michael Finke and it was performed by Matt Wood at Studio 54 on the night of the Finkester's birthday earlier this month. And its inspiration came from real life, a news story from China. "I was excited to turn 60. I've a new theory for recastaways which can be more extensive for Toobworld than specific causes like plastic surgery, quantum leaping, or alien/android substitutions. However, it is alien-based. I believe Toobworld, which has always been the focus of alien invasions since the Golgafrinchams at the Dawn of Mankind*, had been visited by the sentient natives of Antos IV during the Age of Legend. And those Antosians not only bred with the Terran humanoids, but they also passed on their ability to alter their appearance through genetic manipulation. Cellular metamorphosis was a technique used by the inhabitants of Antos IV which allowed them to heal injuries at an accelerated pace. 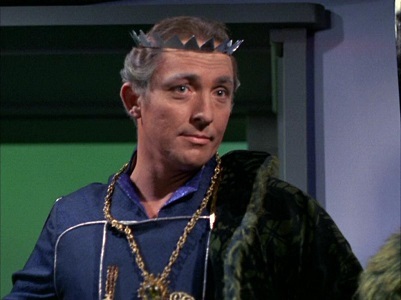 Although we never saw what the Antosians actually looked like in that 'Star Trek' episode, I think it's safe to assume they were basically humanoid in appearance. Because of the "seeding" of the Galaxy by the Preservers, it's likely they were closely related to humans genetically and so it would have been easier for them to procreate with "close" relatives like the Terran humans. And I think they may have been equipped with six inch tails which proved to be a dominant trait passed on to their hybrid descendants. We saw two shape changers who had such tails - Eddie Van Blundt and his father. Another shape-changer who may have been cursed with a vestigial tail was Arch Hammer. He used his shape-shifting talents as a con man to gain money, women, revenge, and a chance to escape. 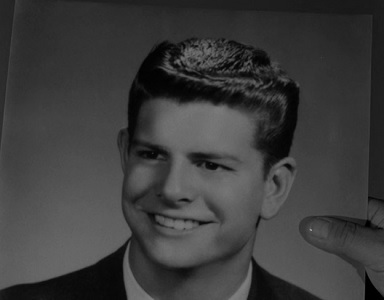 He impersonated a dead jazz musician named Johnny Foster in order to make time with Johnny's girlfriend. Then Arch became Virgil Sterig so that he could blackmail crime boss Pennell who had ordered the real Virgil to be bumped off. 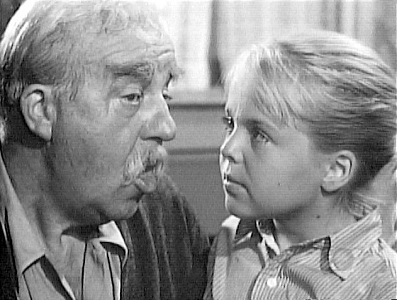 Just his luck he ran into Marshak's father who had a seething resentment towards his own son for breaking his mother's heart which led to her early death. Old Man Marshak caught up with his "son" and shot him. Arch fell to the ground and shifted through all of his shapes before dying. I don't think we have to limit these shape-shifters to just Earth Prime-Time either. The Antosians could have visited other planets, especially other inhabited ones in the Sol system.... Like Mondas. Mondas was the twin planet of Earth Prime-Time, sharing a geo-synchronous orbit. But it was blasted out of its orbit to parts unknown, only to be destroyed when it finally returned in the mid-1980s. In the early days of Mondas, during an age that was equivalent to the Medieval period of the far younger Toobworld, most of the world was under the sway of the Seven Kingdoms of Westeros. And at least two Mondasians were recastaways which had nothing to do with being members of the Faceless Men. One of these characters was the sell-sword Daario Naharis (and personally I preferred his first appearance.) The other is the barbaric giant of a man known as the Mountain. HIs real name is Gregor Clegane and he has gone through three transformations since the Trueniverse audience first started following his exploits. 'Star Trek' - "Whom The Gods Destroy"
'The Twilight Zone' - "The Four Of Us Are Dying"
'The Twilight Zone' - "The Fugitive"
'The X-Files' - "Small Potatoes"
'Doctor Who' - "The Runaway Bride"
'Doctor Who' - "City Of Death"
'Doctor Who' - "The Tenth Planet"
* Strike that. It goes all the way back to when Earth Prime-Time was being assembled by the Magratheans, when the Empress of the Racnoss inserted her eggs into the planet's newly-forming core. And then when the "Blessing" wormed its way into an antipodal position through the center of Toobworld. Hell, even the Jagaroth and the Cybermen beat the Golgafrinchams at invading the planet. And it was a good thing, a really good thing, for Mankind that they did. Jessica probably never even knew that she had a cousin on the MacGill side of the family who was another identical cousin like Emma MacGill. And Emma probably didn't even know she had a half-sister originally from one of the Communist countries of Middle Europe. It is the Toobworld Central contention that Emma MacGill's father had an affair in the mid-1920s with a woman from some country in Europe like Hungary. They had a daughter who was known internationally as Elfie Van Donck when she grew up. 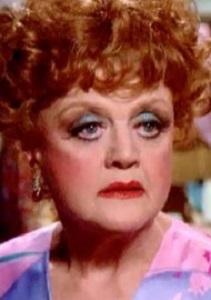 This may have been her stage name, or it could have been the name she carried from birth. Elfie Van Donck was a movie actress, more a star than an actress, actually, and she had a sister who married a scientist named Dr. Armand Warshowsky. The Warshowskys had a son named Bartlett whom the evil spy organization THRUSH considered to be potentially a scientiic genius even at the age of 13. I think Elfie's late sister was the offspring of her mother's husband and would not be the daughter of Emma MacGill's father as Elfie was. 'The Man From U.N.C.L.E.' 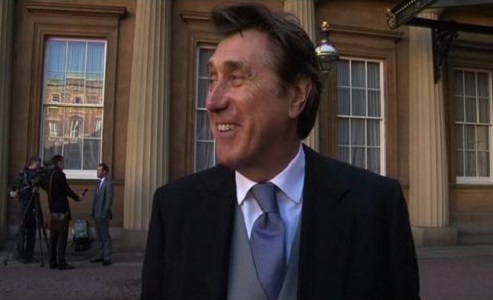 - "The Deadly Toys Affair"
While at Stringfellow's nightclub, Bryan Ferry of Roxy Music had his nose picked by the charity auction date of magician Adam Klaus. This was never seen on the TV, but it happened in Toobworld and will serve as a link to any other series in which Ferry appears as himself. TUESDAY NEWS DAY - "CLAN OF THE CAVE BEAR"
I realize that just two weeks ago or so I said I wouldn't be writing about potential series unless there was a full commitment to be shown on TV. But I found this story to be not only likely to at least be a TV movie or mini-series, but also to hold some interest as a product of the multiverse. 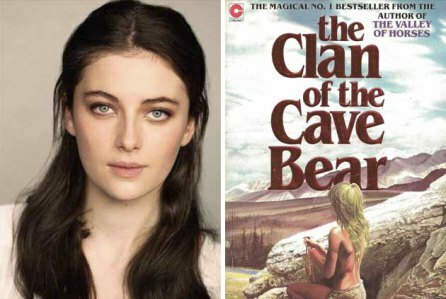 The long-time production team of Ron Howard and Brian Glazer are adapting the six novels in Jean M. Auel's series about the "Clan of the Cave Bear". So there's BookWorld in the Multiverse. There already was a movie - thirty years ago next year already! - and that covers the Cineverse. So now comes this project which will bring the world of the Cave Bear Clan into Earth Prime-Time. It is being made for Lifetime, hopefully for the 2015 Fall season, and will star Millie Brady in the Daryl Hannah role of Ayla, the blonde/blue-eyed child of "the Others". (NOT a 'Lost' reference) Also in the cast are Charlene McKenna, Johnny Ward, and Hal Ozsan. Set 25,000 years ago, I see no reason why it can't be part of Earth Prime-Time. 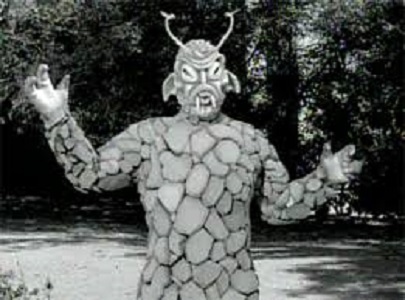 There are not many other TV shows set during the days of Primitive Man which could cause any Zonks. What? Ayla is going to cross paths with the characters from 'It's About Time'? 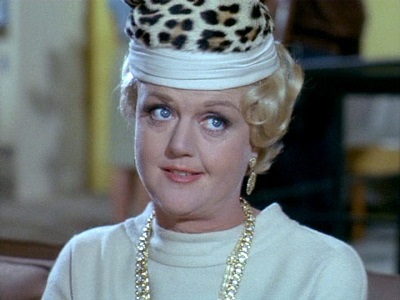 For several years I toyed with the idea of inducting British detectives Barlow and Watt into the Television Crossover Hall of Fame in June, as they were the perfect example of a pair, like the Gemini twins. But there were two reasons why I kept putting it off. One - something always came along that intrigued me more when it came to writing up that particular month's entries. But now that I'm dedicating this year to British nominees, I no longer have any excuse. 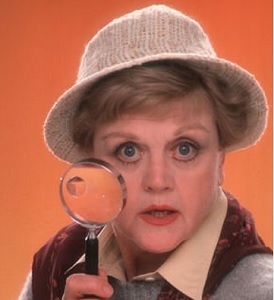 The second reason is that I really don't know very much about these two detectives, having never seen any of the shows in which they appeared. So if you'll please forgive me, the following list of the reasons why they deserve entry into the TVXOHOF is a compilation of Wikipedia articles about each show. 'Z-Cars' or 'Z Cars' was a British television drama series centred on the work of mobile uniformed police in the fictional town of Newtown, based on Kirkby, Merseyside. Produced by the BBC, it debuted in January 1962 and ran until September 1978. The series differed sharply from earlier police procedurals. With its less-usual Northern setting, it injected a new element of harsh realism into the image of the police, which some found unwelcome. 'Z-Cars' ran for a total of 803 episodes, of which fewer than half have survived. Regular stars included Stratford Johns (Detective Inspector Barlow), Frank Windsor (Det. Sgt Watt), James Ellis (Bert Lynch) and Brian Blessed ("Fancy" Smith). Barlow and Watt were later spun into a separate series Softly, Softly. 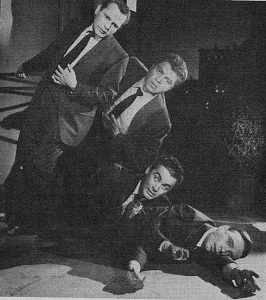 The spin-off 'Softly, Softly' focused on the regional crime squad, and ran until 1969, when it was again revised and became 'Softly, Softly: Taskforce', running until 1976. The character of Barlow (Stratford Johns) was one of the best-known figures in British television in the 1960s and 1970s, and was given several seasons of his own "solo" series, 'Barlow at Large' (later just 'Barlow') between 1971–75. He also joined Watt (Frank Windsor) to re-investigate the Jack the Ripper murders for a six-part series in 1973. This led to another spin-off, 'Second Verdict' in which Barlow and Watt looked into unsolved cases and unsafe convictions. 'Softly, Softly: Taskforce' is a police based drama series which ran on BBC 1 from 1969 to 1976. A revamp of 'Softly, Softly', itself a spin-off from 'Z-Cars', the change was partly made to coincide with the coming of colour broadcasting to the BBC's main channel. The main characters, Detective Chief Inspector Barlow (Stratford Johns) and Detective Inspector Watt (Frank Windsor) were promoted to control of 'taskforces', a new (at the time) development in regional police divisions wherein expertise and manpower could be drawn together when needed for special operations. Joining them from 'Softly, Softly' would be DS Harry Hawkins (Norman Bowler), also on promotion. The stories were set in the fictional south-eastern English borough of Thamesford (played by the City of Rochester and the Medway area), where the team were under the baleful eye of Chief Constable Cullen (Walter Gotell). The programme was due to be called 'Taskforce', but the BBC were reluctant to sacrifice a much-loved brand and so a compromise was reached; it became 'Softly, Softly: Taskforce'. The continuing storyline of the series saw Barlow widowed in 1972, after which he was headhunted by the Home Office to work on special cases (this became the series Barlow at Large). This left the way clear for Watt to come out of Barlow's shadow and take command in his own right, with the reliable assistance of Hawkins. Regulars included Terence Rigby as PC Snow (the dog handler, with his dogs Inky and Radar), David Lloyd Meredith (Sgt Evans) and Walter Gotell (Chief Con. Cullen). 'Barlow at Large' is a British television programme broadcast in the 1970s, starring Stratford Johns in the title role. Johns had previously played Barlow in the 'Z-Cars', 'Softly, Softly' and 'Softly, Softly: Taskforce' series on BBC television during the 1960s and early 1970s. 'Barlow at Large' began as a three-part self-contained spin-off from 'Softly, Softly: Taskforce' in 1971 with Barlow co-opted by the home office to investigate police corruption in Wales. Johns left 'Softly, Softly' for good in 1972, but returned for a further series of 'Barlow at Large' in the following year, Barlow having gone on full-time secondment to the Home Office. This second series, rather than telling one story in serial form, as the 1971 series had, was instead ten 50-minute episodes, each with a self-contained story (this would be the format of all subsequent series). In this series, Barlow was supported by Norman Comer as Detective Sergeant Rees, who had been helpful to him during the first series. He also had to deal with the political machinations of the senior civil servant Fenton (Neil Stacy). In 1974 the series was renamed 'Barlow' and a further two series of eight episodes each followed, introducing the character of Detective Inspector Tucker, played by Derek Newark. The final episode was transmitted in February 1975. The Barlow character was seen again in the series 'Second Verdict' in which he, along with his former colleague John Watt (Frank Windsor), looked into unsolved cases and unsafe convictions from history. 'Second Verdict' is a six-part BBC television series from 1976, of dramatised documentaries in which classic criminal cases and unsolved crimes from history were re-appraised by fictional police officers. 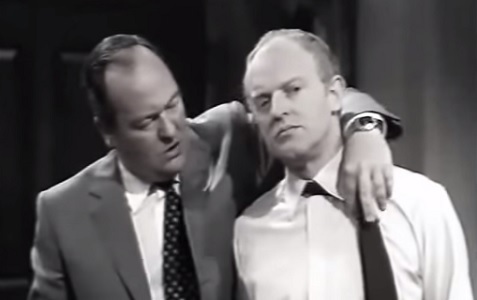 In Second Verdict, Stratford Johns and Frank Windsor reprised for a final time their double-act as Detective Chief Superintendents Barlow and Watt, hugely popular with TV audiences from the long-running series 'Z-Cars', 'Softly, Softly' and 'Barlow at Large'. 'Second Verdict' built on the formula of their 1973 series 'Jack the Ripper' in which dramatised documentary was drawn together with a discussion between the two police officers which formed the narrative. 'Second Verdict' also allowed for some location filming and, when the case being re-appraised was within living memory, interviews with real witnesses. 'Jack the Ripper' is a six-part BBC television drama made in 1973, in which the case of the Jack the Ripper murders is reopened and analysed by Detective Chief Superintendents Barlow and Watt (Stratford Johns and Frank Windsor, respectively). These characters were hugely popular with UK TV viewers at the time from their appearances on the long-running police series 'Z-Cars' and its sequels 'Softly, Softly' and 'Barlow at Large'. The programme was presented partly as a discussion between the two principals in the present day, interspersed with dramatised-documentary scenes set in the 19th century. The experiment was seen to be a success, and the formula was repeated in 1976 with 'Second Verdict', in which Barlow and Watt cast their gaze over miscarriages of justice and unsolved mysteries from the past. Welcome to the Hall, Gents! Last Sunday, Memorial Day Weekend, my brother Bill and I traveled to Tanglewood in order to see one of my favorite bands reunited - Barefoot Truth. They were part of a four-act bill at the SummerSound music festival and as always they worth the trip!